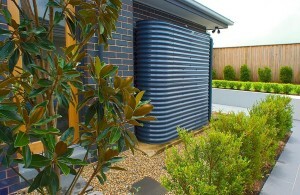 Our Slimline Water Tanks are a great alternative for tight spaces and allow you to maximise your water storage. You can choose from many standard length, width and height options. You can choose the size to perfectly fit the space you have, for example, between windows or down the side of your house, to maintain access. With capacities up to 8,000L you can store a lot of water even in a confined space. 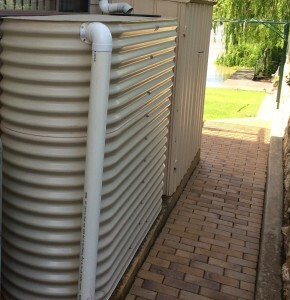 All our Slimline Water Tanks are manufactured with Bluescope Aquaplate® galvanised food grade corrugated iron and have a fully engineered internal stainless steel support frame. 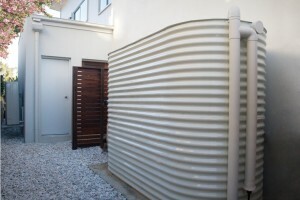 The Aquaplate® colorbond Galvanised corrugated iron Slimline tanks are available in the following standard colorbond colours: Galvanised Iron, Woodland Grey, Surfmist, Paperbark, Pale Eucalypt, and Monument. Other colours are available. •Some colorbond colors are available, as well as traditional Galvanised finish. Kingspan Water offer a 10 year warranty on its industry leading construction workmanship. A 20 year corrosion warranty is provided for the Bluescope AQUAPLATE ® steel component. A long lasting tank that you can rely on.